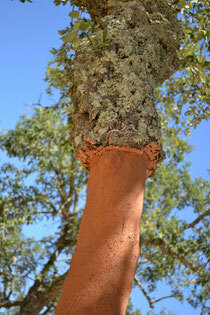 From the tree: Cork is the bark from the Oak tree (Quercus Suber) and has great isolation features. The first extraction of bark in an Oak tree usually occurs when the tree is 25-30 years old. 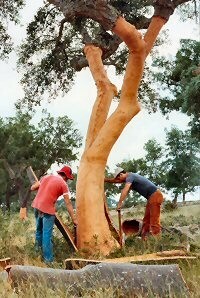 That bark is called virgin cork and is easily recognized from the reproduction bark of the following years. The first and second extractions are not usable for corks stoppers production. 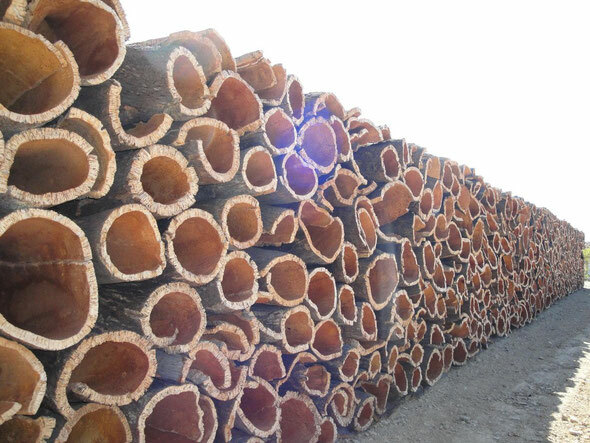 The best rated bark is extracted from this point on, always with a minimum 9 year growth period between extractions. Cork has many applications other than cork stoppers such as pavements, thermal and acoustic isolation, decoration and shoes and others. 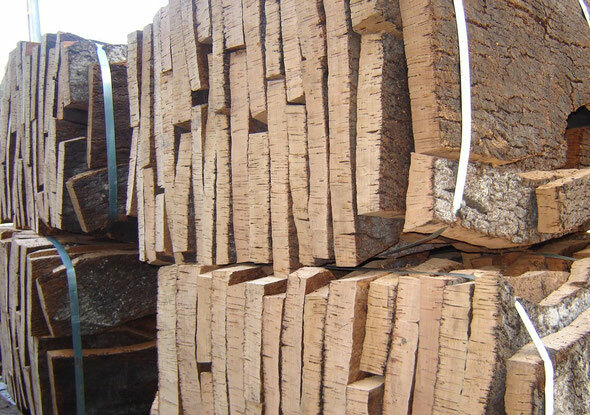 Portugal alone has an area of 730 thousand acres of cork oak trees and is responsible for 50% of the world's cork production. The best cork must have the best provenance so, usually these batches arrive from the south of Portugal, from the Alentejo and Algarve regions. 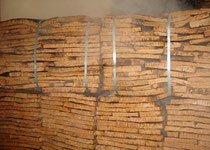 The cork must rest from the extraction for some months and then it is boiled for disinfection and best maneuverability. It will be ready for cork stoppers production in a few weeks. The cork that is not used for cork stoppers will be grinded and used in decorations, isolations, etc.